Plus I've been dealing with a Comcast Internet outage since I first tried to post this. I've been gearing up for 3-Day Novel and working a lot in anticipation of the days I won't be working. I'm also making crafts for several swaps on Swap-Bot. I like making crafts because making crafts is a form of meditation for me. My thoughts quiet, I am calm and still, and I focus on the kindness and happiness of my swap partner. I plan to make similar tiny books but with Buddhist themes. I am hoping to find some dharma wheels, ensō, Buddhas or other interesting buttons to use. I will make the story inside about Buddhism too. If this project turns out to be a success, I might give some away on this blog. I picked up a similar card from the local Kadampa Buddhist Center and will include this in the packages I send out. These cards are plastic and are great to put in a wallet or small picture frame as a reminder to be devoted to Buddhist practices. 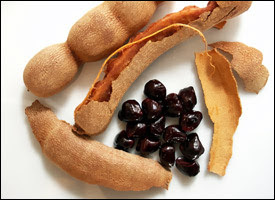 I'm also going to make some malas out of tamarind seeds, just because tamarinds are readily available in Miami at this time of year. I think that the deep burgundy color, glossy texture and unusual shape of tamarind seeds make them perfect for this type of project. Who could forget my all-time favorite Buddhist trinket, Buddha Badges? I am so happy with mine because they are so beautiful and a great reminder to stay focused on your practice. I also will mail out the ensō zine that I will complete next week. Crafting ensō has been much harder than I thought. It definitely requires a calm mind, steady hand and great deal of concentration to make something that looks decent. If I become really ambitious and energized after the 3-Day Novel Contest, I hope to make some small Buddhist assemblage art projects, such as travel shrines made from upcycled Altoids tins, cigar boxes, etc. This involves painting, sanding, collaging, gluing, deconstructing and imagining something new. One of the focuses of Buddhist beliefs is to lessen your attachments. That can be hard to do. I recently read that clutter is easy and minimalism is hard. How true! But I think it is good to have a few small items that help you focus on your meditation and your commitment to end the suffering of and love all beings. What are your favorite spiritual crafts? And do you view making crafts as a spiritual activity? I will probably be a little bit scarce around here for the next week and a half due to work and 3-Day Novel, but thereafter I'll be back to posting regularly and I will share some of the Buddhist goodies I made and bought by hosting a giveaway on this blog. In the meantime, I'll have some scheduled posts, but I problably won't respond to comments until after the 5th when 3-Day Novel ends, unless I procrastinate like I did all of the years that I tried to complete NaNoWriMo. Posted as part of Best Posts of the Week, Share the Joy, Weekend Wander. Hi Lola, I really enjoyed reading this, as I did about the ensō a few posts back. Funny thing I happened upon something in my photography that seemed to synchronise with your post, am going to be posting about this soon with a link back to your post about ensō. Thanks for the inspiration. Wow - I can't believe all the creative energy oozing from you! Totally impressive. Beautiful and quite interesting blog! I love your button book! What a great idea. I've never heard of Three Day Novel. I just finished my first NaNoWriMo (and made my 50K), and can't imagine trying to create any quality within three days, but more power to you for trying. I view all crafting as spiritual, and if I can't be mindful/meditative while practicing that craft it's not worth doing, no matter what the finished product. Thanks for the thoughts - I read several posts before commenting on this one. I'm not sure I would agree with all your beliefs, but you express them well and sincerely. I believe that crafting can be a spiritual activity as you can put your whole self into it and meditate while doing something meaningful. I do it all the time, but they are mostly personal projects like a reflective art journal.